Remember This Pokémon Grandpa? He’s Now Sponsored By ASUS & Upgraded to 21 Phones! Last year (2018), Chen San Yuan a.k.a. 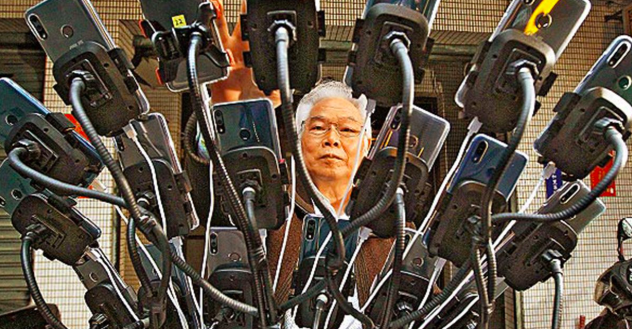 Grandpa Pokémon from Taiwan went viral on social media after he DIY-ed his own Pokémon Go gaming rig, which allows him to carry and operate 11 smartphones at once. Fast forward to this year, he has upped his game and is currently running a 21-phone set-up and even earned himself a sponsorship! That’s right, ASUS was deeply impressed by the grandpa’s creativity and multitasking skills that they decided to sponsor him with their latest ZenFone Max Pro (M2). In fact, all 21 phones on his current gaming rig are sponsored by ASUS too! Powered by multiple portable battery packs located in his bicycle basket, the grandpa can go up to 20 hours catching Pokémon and his presence on the streets usually attracts a large crowd with many fascinated by his set-up. Here’s how he looks like on the move. When interviewed, the grandpa said the game hunting for virtual monsters actually encouraged him to get out of the house more often to make friends. Besides that, it has also helped him to fend off his Alzheimer’s disease as he is constantly on the move trying to catch more Pokémon. 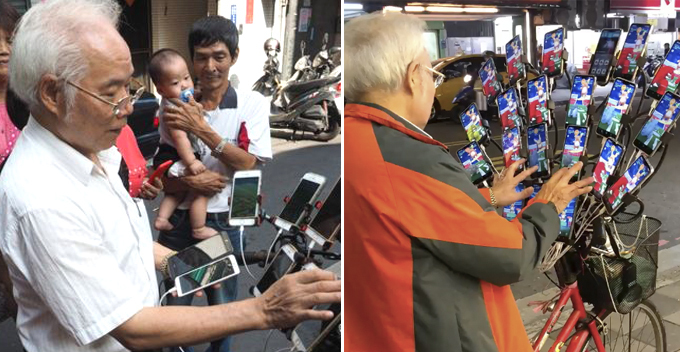 His adventure of catching Pokémon started on 14 September 2016 when his son bought him a smartphone. “My grandson taught me how to catch Pokémon. I used to only play computer games and Candy Crush,” he said. To date, it is understood that he has captured 237 different Pokémons and he’s still going strong. From a single smartphone to 21 of them, Chen has certainly proven to us that he wants to be the very best, that no one ever was. Do you think the number of smartphones he’s using would grow in the near future? We think it will!